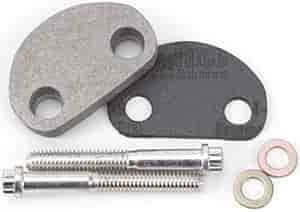 These replacement choke parts are designed for Edelbrock Intake Manifolds. They're originally included with the specified intake manifolds but available separately for repair/maintenance. So this part came with my performer intake and I have a question. Is this to close off an opening in the intake if you are not using a choke on your carb.? Or is it for a non-egr situation?